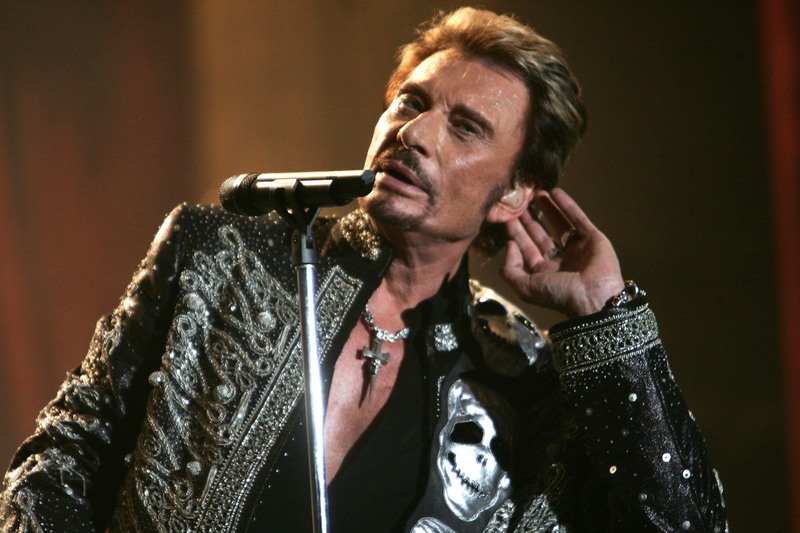 French rock star and actor Johnny Hallyday, who became the first Gallic singer to popularize rock 'n' roll in France and sold over 110 million records during a music career spanning over half a century, has died, according to Agence France Presse. He was 74 and had been fighting cancer for several months. 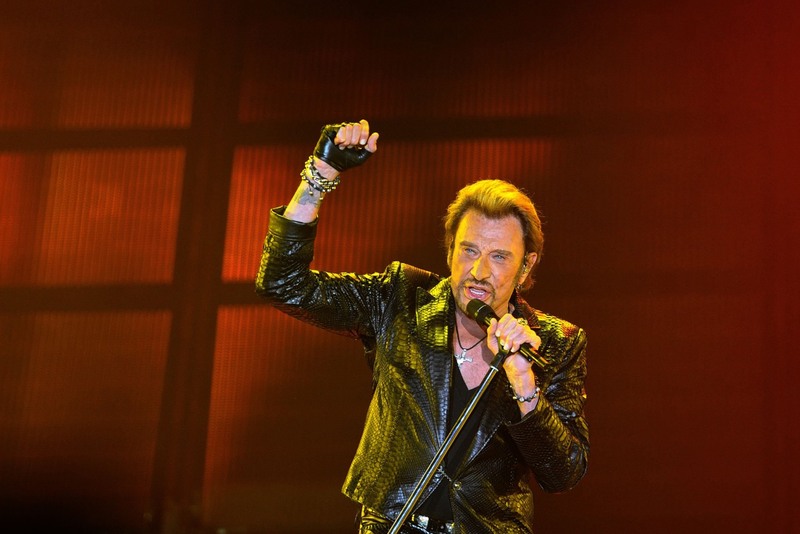 Widely known as the "French Elvis," Hallyday began his singing career at the end of the 1950s specializing in French-language cover versions of famous songs by artists like Gene Vincent, Eddie Cochrane and Elvis Presley — whose example inspired him to become a singer. At the beginning of 1960 Hallyday released his first album, "Hello! Johnny." The following year he performed at France's first rock festival at the Palais des Sports in Paris, setting off a near-riot that led to a ban on rock 'n' roll shows for several months. Hallyday's covers instantly proved a successful way for American rock 'n' roll to infiltrate its way into France. He even gave the Jimi Hendrix Experience their very first gig as his opening act at the Paris Olympia in October 1966. In later years he was clever enough to sustain his popularity and increase his cross-generational appeal by moving into emotive balladry in a career trajectory similar to that of Presley. A highlight of his career was the 2001 concert he gave at the Eiffel Tower that attracted an audience of more than 600,000. During his career he recorded over 1,000 songs, about a hundred of which he wrote himself. He also topped the French charts more than 30 times. Unlike his friend, the singer Charles Aznavour, who successfully crossed over in the U.S., Hallyday could not replicate his success abroad. Americans first caught a glimpse of him on "The Ed Sullivan Show" in 1962; several concerts followed, including one in Las Vegas in 1996 in which he sung a rendition of "My Way" with Paul Anka, but he never built up much of a following. Hallyday also became an accomplished film actor. He made his first screen appearance in 1955 as an extra in Georges-Henri Clouzot's classic thriller "Les Diaboliques." He broke through in France in "Where Are You From Johnny?," playing a thinly disguised version of himself: a young rocker on the make. His co-star was first wife Sylvie Vartan, also a chart-topping singer, with whom he sung several popular duets. The role was hardly a stretch, but his performance went down well with Hallyday's fans. He began to get serious about acting in the 1980s, starring in Jean-Luc Godard's "Detective" as a boxing manager fallen heavily into debt (shades of Hallyday's real life: he struggled for a long time to reimburse 100 million francs in back taxes) and in Costa-Gavras' rather limp "Family Business." Hallyday's best performance, and the one he prized the most, was as a world-weary criminal in Patrice Leconte's 2002 film "The Man on the Train." There is wonderful pathos in the scenes between Hallyday and co-star Jean Rochefort who plays a retired teacher, each man aching to live the other's life. Hallyday deservedly walked away with that year's Prix Jean Gabin for best actor. 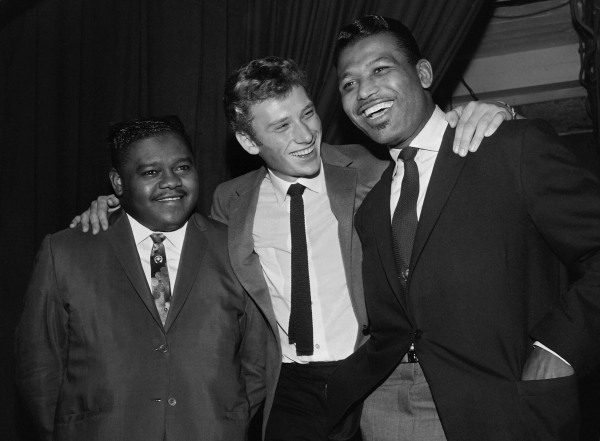 This file photo taken on October 20, 1962 shows US pianist and singer-songwriter Fats Domino (L) being congratulated by French singer Johnny Hallyday (C) and US boxing champion Ray Sugar Robinson following his performance at the Palais des Sports in Paris. He appeared in "The Pink Panther 2," with Steve Martin, in 2009, and starred in the Johnnie To-directed crime thriller "Vengeance" the same year. Jean-Philippe Smet was born in Malesherbes, Paris, the son of a French mother and Belgian father. When he was an infant his parents split up, and he moved in with his paternal aunt, Helene Mar, a former silent-screen actress. He would later take his stage name from his aunt's husband, an American entertainer called Lee Halliday, who had a defining influence on his life. 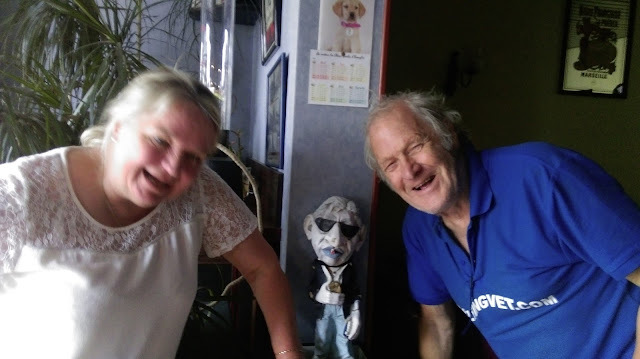 From the age of 11 Hallyday took to the road as an entertainer with Les Hallidays, a family troupe consisting of his uncle Lee and Mar's daughters Menen and Desta. When Hallyday returned to Paris in 1957, he signed up for acting and singing lessons after watching Elvis for the first time in "Loving You." France's first and only fully fledged rock star lived through a failed suicide attempt, a trail of broken marriages, cocaine use, chronic tax problems, a life-threatening motorcycle accident and, near the end of his life, a ghastly botched operation on a herniated disc. The fact that he always bounced back without complaint made him a folk hero for many French people. Hallyday is survived by his wife, Laeticia, and their two adopted children, Jade and Joy; son David Hallyday from his first marriage with Vartan; and daughter Laura Smet from his relationship with actress Nathalie Baye.